In this post, I will show you how to use Unity Container in ASP.NET MVC 5 application. This post may be handy for you because the way Unity was used in MVC 4 has been changed in MVC 5. 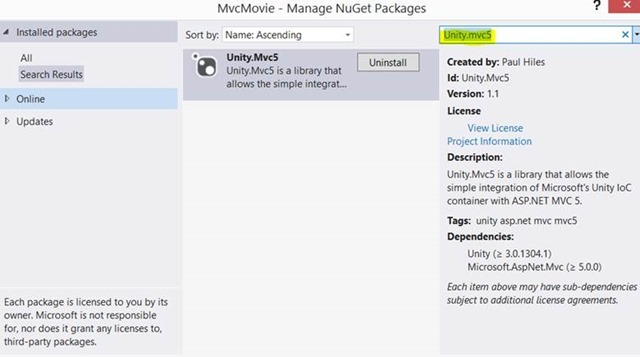 Assuming you already have ASP.NET MVC 5 application, you can start using Unity Container using Nuget. Right click on project and from context menu click on Manage Nuget Packages and search for Unity.mvc5. Click to install Unity.mvc5 package in ASP.NET MVC application. 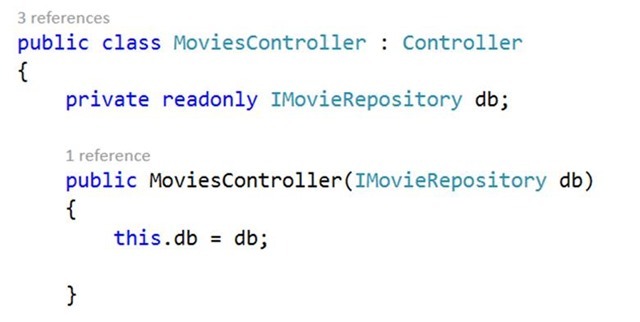 This is what all you need to do to resolve dependency using Unity Container in ASP.NET MVC application. In further posts I will discuss how to use other IOC containers like Structuremap, Windsor etc. Nice and easy. Thank you! Nice article, I found following post with sample code and screen-shots.